A philanthropist, also a stalwart of the All Progressives Congress (APC), Engr. Nurudeen Adeyemi Balogun has described the death of Emir of Patigi, Alhaji Ibrahim Chatta Umar, as a colossal loss to the people of Kwara State. 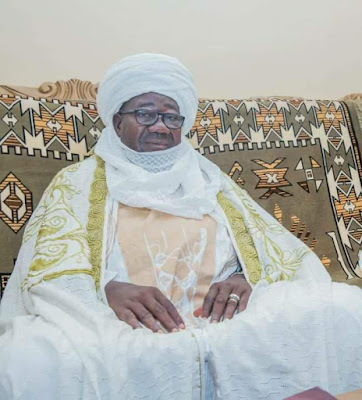 In a statement released on Wednesday 20th, March, 2019, Adeyemi expressed grief and commiserated with the the Emir of Ilorin Alhaji Ibrahim Sulu-Gambari, the government and people of Kwara and, in particular, the people of Patigi over the death of the Monarch. He extolled the peaceful, dedicated and progressive leadership qualities of the late Emir, saying such leadership values will be greatly missed in advancing the New Kwara Project. He prayed that God will grant the late Emir Al-Jannah Firdaus and comfort the people of Pategi and entire Kwarans.